LGBT+ Support Group 7:00-8:00, first Thursday of every month, Borough Building (243 S Allen), State College. Support Group for Parents of LGBTQ Kids 7:00-8:00, third Tuesday of every month, room 112, Borough Building (243 South Allen), State College. Friday Night Live last Friday of every month, 7:00-9:00, Webster's Cafe and Bookstore. Thank you, Webster's, for providing snacks and for hosting us! BYOQ (Bring Your Own Queer) Youth Group, (grades 8-12), date varies, email info@centrelgbtqa.org for meeting information. 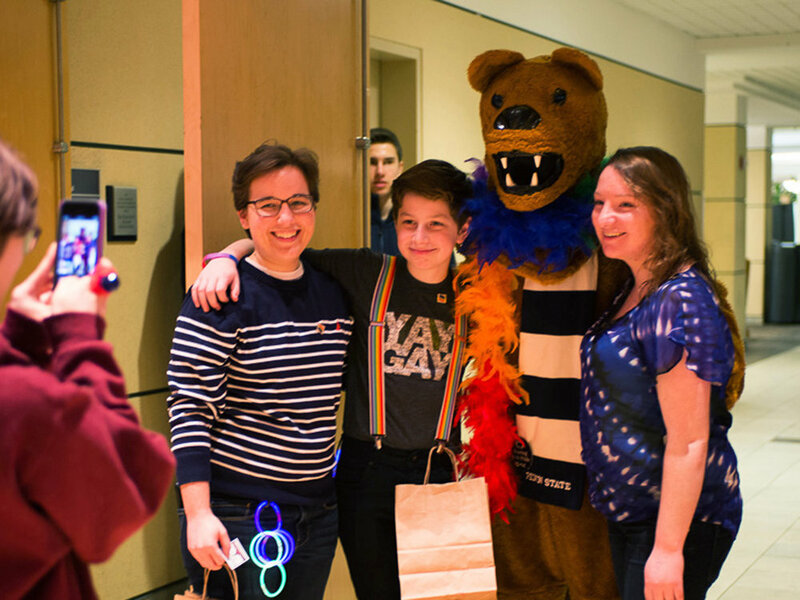 Gayla (Annual Fundraiser Party): Saturday, April 27 7:00-11:00 PM, The Lodge at Tussey Mountain, Anyone 21+ is welcome, More information and tickets here. Sponsorships available. BYOQ Trip to NYC: Wednesday, June 19, BYOQ (Bring Your Own Queer) youth field trip to New York City! During the trip we will explore the city’s historical LGBTQA sites, visit the Leslie-Lohman Museum of Gay and Lesbian art, and tour the studio of artist Linda Stein. More information and tickets here. Meetings include supper, respect for who you are, great company, and opportunities to share. Teens have the opportunity to create additional UNSUPERVISED activities through MeetUp, Facebook and other Social Media. Check CLSN’s facebook page postings for upcoming events. CLSN offers funds for teens to attend LGBTQA affirming conferences, camps, etc. when there is a need. These local businesses and organizations have made a commitment to be LGBTQA-friendly. If you'd like to be added to our list, fill out our Contact Form, or email us at info@centrelgbtqa.org. Elise Smalley - In memory of Justin Lewis DeMaria (Pacifica Rim). Fill our our Contact Form or email us at info@centrelgbtqa.org. Join our mailing list to learn about our upcoming community events.